IGCSE Chemistry: Topic 4 Stoichiometry, a series of 9 lessons from Sal Sciab. IGCSE Chemistry: Basic Calculations, a 15m lesson from ChemistryKlipz (some of which we don’t need for the exam). 2 videos on Stoichiometry which probably go into too much detail but are very good – Hank Green from Crash Course Chemistry talks very fast & Salman Khan does not. Great resources from the Australian International School – videos, powerpoints, worksheets, practicals, animations, flashcards etc. This entry was posted in C4 Stoichiometry and tagged calculations, equations, moles, reactions, stoichiometry on December 23, 2013 by Mr Cartlidge. You can practise balancing chemical reactions here – and it’s fun (honestly). Or you could play Chemical Compound Hangman. GCSE s-cool – Writing Formulae & Balancing Equations (includes ‘the Mole’ but not molar calculations) – revision notes & animations, practise exam questions & a revision summary. Worksheets from Mr Guch that cover Naming Compounds; and here are some more. And here’s some more on Balancing Equations. Also Chemactive worksheets & answers just click on Reactions questions. For Doc Brown’s Chemistry quizzes, word-fills, crosswords and study notes go here and just scroll down. The law of conservation of mass – Todd Ramsey – a 4m 30s TED-Ed lesson. This entry was posted in C4 Stoichiometry and tagged equations, reactions, stoichiometry on December 23, 2013 by Mr Cartlidge. IGCSE Chemistry: Atoms, Elements & Compounds, a 19m lesson from ChemistryKlipz that covers the structure of atoms, relative atomic masses and isotopes, formulae of elements and compounds, and relative formula masses. This entry was posted in C4 Stoichiometry and tagged atoms, calculations, compounds, RAM, RFM, stoichiometry on September 7, 2013 by Mr Cartlidge. 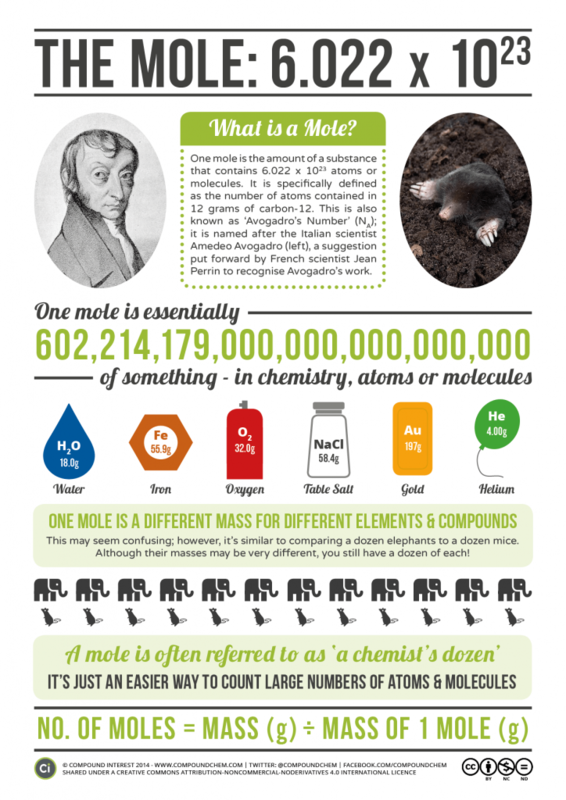 IGCSE Chemistry: Calculations involving Moles, a 16m lesson from ChemistryKlipz. How to use the formula triangles – from GCSE Bitesize. Practice here – some mole calculation worksheets and Stoichiometry from Mister Guch and some chemical calculations from Doc Brown. Quantitative chemistry from GCSE Bitesize – just revise the bits you need though (use the syllabus statements to decide). A Quantitative Chemistry quiz – for teams or individuals. A Mole Music Video by Peter Weatherall (1m 48s). What would happen if you had a mole of moles? . The fantastic What if? site answers this question. The answer is rather unpleasant. This entry was posted in C4 Stoichiometry and tagged Avogadro, calculations, moles, stoichiometry on September 7, 2013 by Mr Cartlidge.